... and on festival days. Our visitors can buy train ticket for 500 HUF both in the Entrance building (per card) and on the train (per cash). The ticket is valid on whole day. 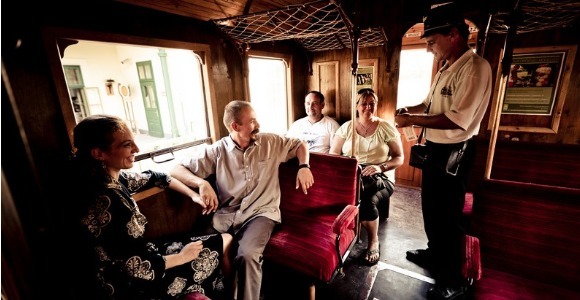 - Skanzen Train can be used with daily train tickets several times a day. - Each train has 50 seats and 30 standing rooms. - Please take care of the safety of yours and other passangers. - Please keep off the rails. - Use the level crossing to cross the rails. - The maximum speed of the train is 15 km/h (9,3 MPH). - Passengers are kindly requested to get off the train at the end station. Five train stations and all that is between: Hungary from the window of a Ganz locomotive... The Skanzen Rail leaves from the train station at the entrance of the Museum. It is running eight times a day, connecting all regional units of the Open Air Museum. 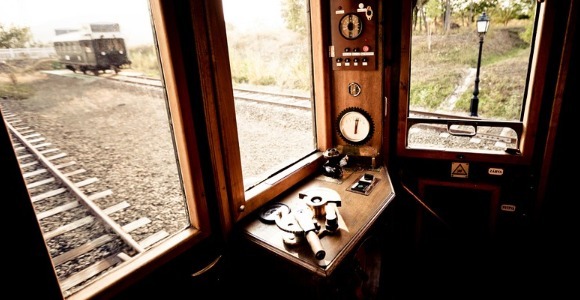 Although this electric train is an industrial museum piece, designed in 1927, it is in excellent condition and has been renovated to suit present day requirements by being accessible to pushchairs and wheelchairs alike. The Skanzen Rail operates with a ticketing and information system typical of the Austro-Hungarian Monarchy's time and its staff uniform shall be authentic of that era. The loading capacity of the rail is 100-120 people and the round is 2,2 km long.